So far, we’ve been talking about thermal bridging and the thermal performance problems associated with it in terms of cladding installation. As we’ve seen, depending on the type of cladding material and design, cladding support systems can require thousands of attachment points, whether on individual panels or in the rails. Each point represents a thermal bridge that needs to be broken. For example, double-skin facades require that as part of the external envelope, the cladding attachment rails must be attached to the internal substrate envelope. The brackets, which are usually steel or aluminum, puncture the insulation layer and greatly increase the thermal bridging. Depending on the building design, compared to the insulation layer, the thermal transmissivity of brackets can be more than 2,000 times higher than the insulation.1 This means that in winter, the warm interior is compromised by heat escaping to the cold exterior, and in summer, the heat will find its way in. Such breaches can mean that estimates of heat flow in and out of the building are incorrect—often by as much as 20 percent lower. In order to break thermal bridges, rail bracket fasteners need to be capped, such as with plastic anchors. For large-scale projects, thousands of screws may need to be used with protective anchors—and each one of these pieces presents a potential failure point. In essence, this is one of the key challenges of current cladding attachment systems, and it has been the standard way to incorporate thermal breaks. All manufacturers are aware of these challenges, and they all have different ways to solve the problem. The design solutions to limiting heat loss are about as varied as the different cladding systems themselves. For example, some manufacturers of metal cladding panels have opted to insulate the panels themselves. Other manufacturers have focused on ensuring that the joints or other components incorporate a thermal break, and yet others have worked to include thermal breaks in the fasteners. By and large, most of the design solutions have focused primarily on the panels or the fasteners. The cladding attachment system as a whole, on the other hand, has until recently been an overlooked design solution to the thermal performance problems with exterior cladding. 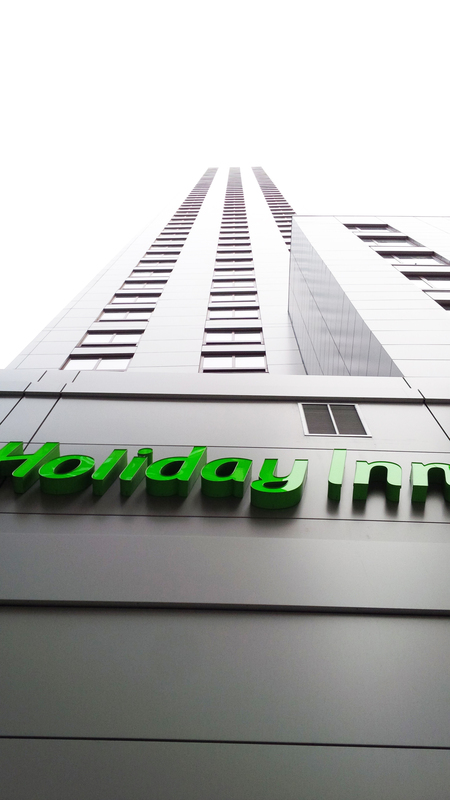 Rather than focus on separate components or the insulation layer, an innovative approach is to focus on the entire attachment system—and its installation—as a means of improving thermal performance. The general idea with this new design is that a cladding support system can both be designed to incorporate thermal breaks and allow for continuous insulation, all while addressing some of the known installation problems. For example, the system can make securing the system to the wall an easy task, and that in turn solves the issues that arise from poor workmanship and inconsistent leveling and plumbing of attachment system rails. This whole system design approach can drastically reduce the overall heat loss that is common with most other support systems. Integrated measurements and leveling systems can enable faster and more fool-proof installation of cladding, shortening construction schedules and reducing jobsite errors. One benefit of this system is that it is able to support the cladding and exterior insulation on many different substrates. The system works by having a lightweight aluminum base track fastened to the substrate and an intermittent nonconductive polyamide thermal clips fastened to the base track; this supports the aluminum wall-mount track, and that track supports the cladding. Both base and wall mount tracks have dimension marks on them. In addition, the system includes aluminum horizontal wall mounts, which are attached to the outboard of the aluminum track—this provides additional support to the cladding. Vertical track and horizontal wall mounts provide zero sightline and receivable channels for the cladding products and also provides an opportunity to reduce the overall thickness and save space. Vertical and horizontal connections add to the building’s structural performance. An important feature is that exterior insulation fits in between the clips and aluminum tracks. Depending on the system design, different thicknesses of insulation can be attached simply by adjusting the positions of the track and the clip. This style of system provides an air gap between the support layers and drastically reduces thermal bridging. In short, the system as a whole works as a thermal break. The overall benefits of an attachment system that addresses the time and cost issues associated with creating a preinstallation substructure for the support system, as well as the potential errors associated with having thousands of thermal bridges to isolate with every fastener, can be significant. Moreover, simple changes, such as including an integrated leveling device and measurement lines on the attachment structure rails, mean that installation shifts from being a tricky, error-prone task to a relatively easy, straightforward installation process. Senior Glazing Systems Engineer Stewart Jeske, MS, P.E., of JEI Structural Engineering, notes that he is impressed, and he thinks that this product “will soon become the standard in the industry.” Small shifts in design can save considerable time and money during a project. Recent advances in cladding support systems address some of the challenges we discussed earlier, such as installations that are not plumb or level or subject to improper installation (and thus decreased performance). One innovative design includes systems that reduce the number of components necessary to attach the cladding to the substructure, reducing installation time and potential errors. These support designs also can accommodate different cladding materials not tied to one manufacturer, making them universal systems. Universal systems can be modular to accommodate different panel sizes and configurations and improve the ease of installation with increased adjustability. These are designed to address thermal bridging issues. Integrated design features improve load-carrying capacity of cladding support systems and enhance a building’s resiliency in the face of extreme weather conditions. Together, the combined features have the potential not only to improve the health, safety, and welfare of installers and building occupants but also to improve the quality and performance of the building. Aligning measurements integrated into system elements can reduce installation times and errors and in turn lower the cost of installation. Integrated measurements improve installation accuracy and quality, which can raise the structural performance of cladding application significantly. Thermal break clips minimize thermal bridging and allow continuous insulation to perform at its best. Where traditional cladding mounts create thermal bridges, specially designed clips do not. This system means that continuous insulation can meet energy code requirements for U-values on opaque wall assemblies. Universal systems can be modular to accommodate different panel sizes and configurations and improve the ease of installation with increased adjustability. The challenge faced by most cladding manufacturers is how to keep a continuous insulation system genuinely continuous and avoid any thermal bridging. As discussed earlier, any fastener that punctures the insulation is a potential thermal bridge. One way around this is to use an attachment system that includes very strong clips that create the space needed for continuous insulation. This can be done by creating air space between the exterior wall and cladding, which can drastically increase the thermal performance of the system. With design flexibility and the ability to accommodate different types of claddings, these adjustable systems are excellent for higher-end, larger projects, although single-level residential projects also can benefit. Energy performance can be increased up to 91 percent for the empty steel stud cavity walls having no insulation. These cladding systems are designed to help create healthy buildings. The benefits of cladding support systems that both include thermal breaks in the design and accept a range of cladding materials are vast, from environmental impacts and installation to durability and performance. Environmental impacts, for example, stem from using aluminum rails. As a high-quality, recycled (and infinitely recyclable) material, aluminum is one of the most environmentally friendly materials available for certain designs. It is strong and durable but also lightweight. When compared with steel and other metals, aluminum carries lower shipping costs. Modular rail designs benefit the building and installation—and they can also be packaged efficiently, reducing waste material. As we mentioned earlier, errors with support system installation can be time consuming and costly. A key benefit of a modular system that comes with its own leveling device is installation that’s quick and nearly foolproof. A universal system, for example, means that there are no customized parts, and that alone can help reduce installation time and, more importantly, installation errors. If something needs adjustment, a modular system specifically designed for easy adjustments makes the task quick and simple. Finally, a universal system creates less waste than other systems that have redundant rail segments, clips, and fasteners. All in all, these new systems can make the support system installation phase of cladding easy to do. A final benefit of a universal, modular system is that it can offer reliable, safe, long-term performance that exceeds that of more traditional systems. By maintaining continuous insulation around the building envelope, these systems can improve energy efficiency significantly. This in turn can reduce the overall energy load for heating and cooling the building, all while providing occupants a more comfortable interior environment. A universal system can produce less waste during construction compared to traditional systems that have redundant rail segments, clips, and fasteners. 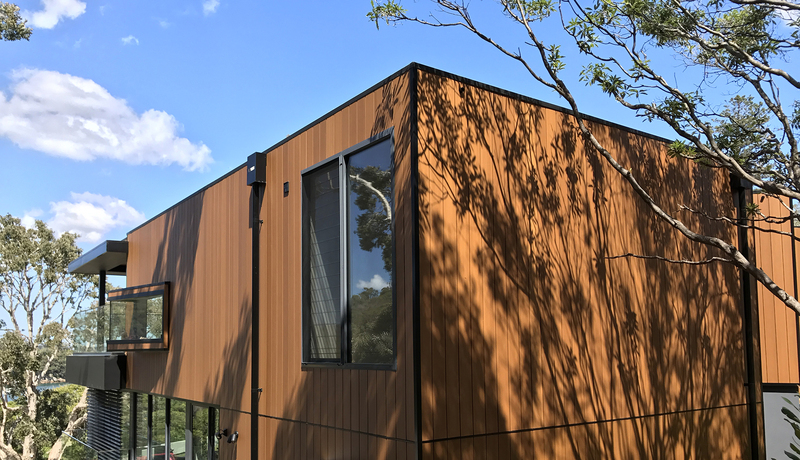 The installation, physical, and environmental benefits of universal, modular cladding support systems ultimately impact the people involved with a project. 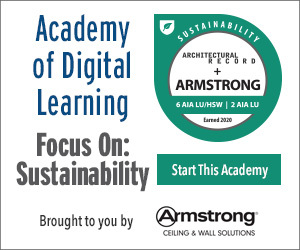 Everyone from architects, owners, and occupants to general contractors and installers can benefit from a cladding system that is strong, safe, and easily installed and modified—and that carries a clear environmental benefit. Architects benefit from using a universal, modular cladding support system in several ways. Aside from the environmental benefits noted above, all of which can help with LEED v4 credits, the versatility of the support system design allows for different cladding applications. Depending on the project, this may mean that the initial exterior cladding design can be replaced in several years with something different should the designer or owner wish to do so. Moreover, the modular nature can accommodate standard construction dimensions, and so changing the exterior facade of a building can be a relatively straightforward task. While aesthetics are clearly important for the designer, a system’s performance is a top priority. In the case of cladding support systems, performance must be tested and documented, and also meet or exceed certain standards. Standards such as ASTM E 330, which tests the effects of wind load on a building’s exterior surface elements (e.g., windows, doors, skylights, and curtain walls), is critical. Exterior cladding must be safely secured, and it must be able to withstand the wind load of the geographic location of the structure. Exterior cladding must be tested for fire resistance. In the case of NFPA 285, an exterior non-load-bearing wall assembly (i.e., cladding) must pass key fire-safety test requirements that include maximum flame height and lateral distance, as well as maximum temperature points. Finally, a support system needs to be able to handle the gravity load of the cladding that it supported. A universal system must be able to accommodate the gravity load of any possible cladding and do so in a manner the architect can trust. In this sense, some systems are specifically designed to handle a load far greater than needed. Owners also benefit considerably from knowing that their building is structurally secure and the facade is stable. Safety issues aside, a cladding support system that ensures consistent and evenly installed cladding means that the building will have clean lines and a properly finished look. 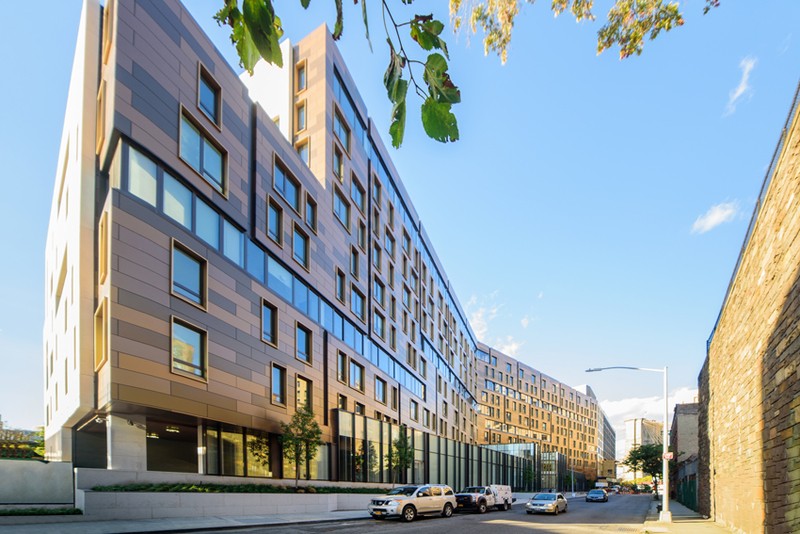 A final benefit for owners is that a high-performance cladding support system has the potential to greatly improve the building’s energy efficiency. In the case of commercial buildings, improved energy efficiency can reduce lifetime operational costs and also reduce the building’s energy footprint. As with owners, occupants benefit from reduced energy costs. With heating and cooling more closely controlled, costs can be kept low while making sure that the interior temperatures remain comfortable for the occupants. In addition, a good cladding system can reduce exterior noise and help keep the occupant experience healthy and productive. The modern style, clean finish, and lightweight construction make the installation safer. 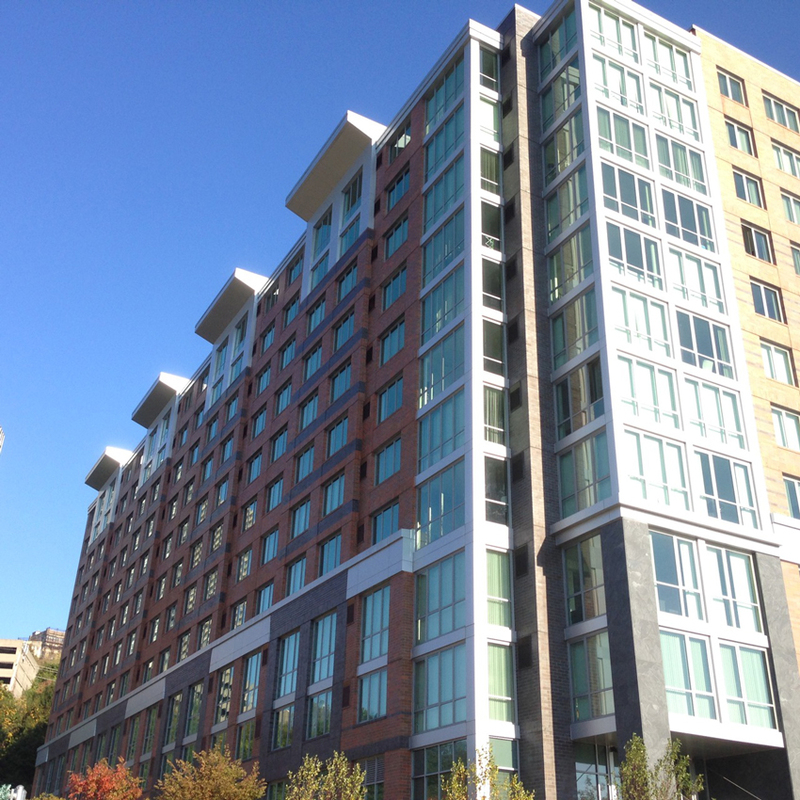 General contractors and installers benefit from using a universal support system for cladding. For example, it helps contractors to know they are using a high-quality substructure that works with any cladding system, and that in turn, they will have shorter installation times with less jobsite waste. Moreover, any adjustments that need to be made can be done so easily. Finally, the structural integrity of the entire construction facade is enhanced. Likewise, installers benefit from a simple system that is fast and easy to install. The modern style, clean finish, and lightweight construction make the installation safer as well.